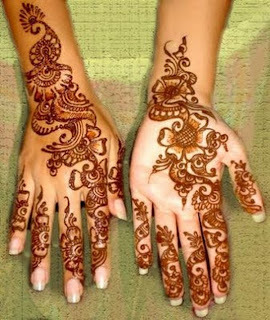 Mehandi is also known as Henna. It is an ancient and traditional art for decorating hands and feet of women. In an Indian tradition it is believed that it brings fortune for the bride and it will bring happy life for her. Along with designs mehandi is also available in different colors like dark colored mehandi, red colored or natural leaves ground to get a natural tone. sometimes mehandi is decorated with silver, golden and enamels to get a colorful and eye catching look. 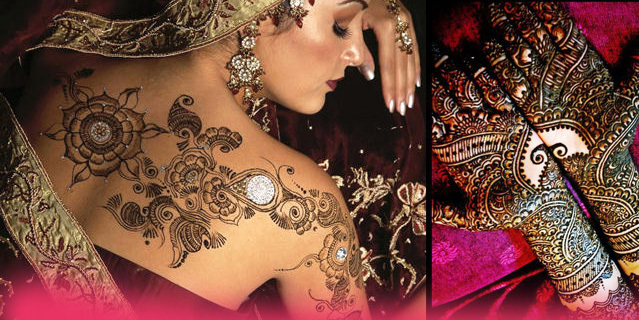 now a days mehandi tattoos are also being made on the body to get a permanent beautiful look.